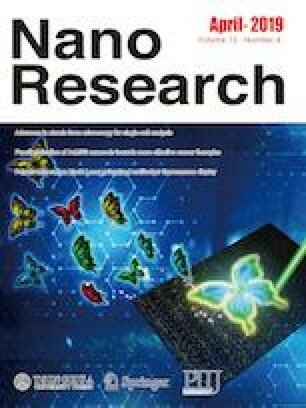 Despite the uniquely high thermal conductivity of graphene is well known, the exploitation of graphene into thermally conductive nanomaterials and devices is limited by the inefficiency of thermal contacts between the individual nanosheets. A fascinating yet experimentally challenging route to enhance thermal conductance at contacts between graphene nanosheets is through molecular junctions, allowing covalently connecting nanosheets, otherwise interacting only via weak Van der Waals forces. Beside the bare existence of covalent connections, the choice of molecular structures to be used as thermal junctions should be guided by their vibrational properties, in terms of phonon transfer through the molecular junction. In this paper, density functional tight-binding combined with Green’s functions formalism was applied for the calculation of thermal conductance and phonon spectra of several different aliphatic and aromatic molecular junctions between graphene nanosheets. Effects of molecular junction length, conformation, and aromaticity were studied in detail and correlated with phonon tunnelling spectra. The theoretical insight provided by this work can guide future experimental studies to select suitable molecular junctions, in order to enhance the thermal transport by suppressing the interfacial thermal resistances. This is attractive for various systems, including graphene nanopapers and graphene polymer nanocomposites, as well as related devices. In a broader view, the possibility to design molecular junctions to control phonon transport currently appears as an efficient way to produce phononic devices and controlling heat management in nanostructures. Supplementary material (theoretical background, additional graphs and tables) is available in the online version of this article at https://doi.org/10.1007/s12274-019-2290-2. This work has received funding from the European Research Council (ERC) under the European Union’s Horizon 2020 research and innovation programme grant agreement 639495 — INTHERM — ERC-2014-STG. L. M. S. thanks the Deutscher Akademischer Austauschdienst (DAAD) for the financial support. This work has also been partly supported by the German Research Foundation (DFG) within the Cluster of Excellence “Center for Advancing Electronics Dresden”. B. M. greatly acknowledges the financial support by European Research Council for COMBAT project (Grant number 615132).